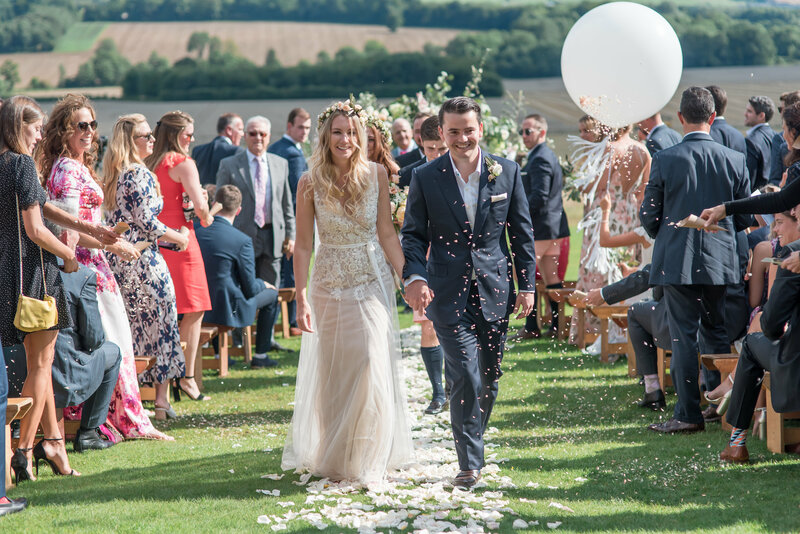 A wedding day gives the groom a special opportunity to go for it in the sartorial stakes, wearing formal attire that reflects his personality and style and accessories that will make his wife-to-be swoon as she walks up the aisle! 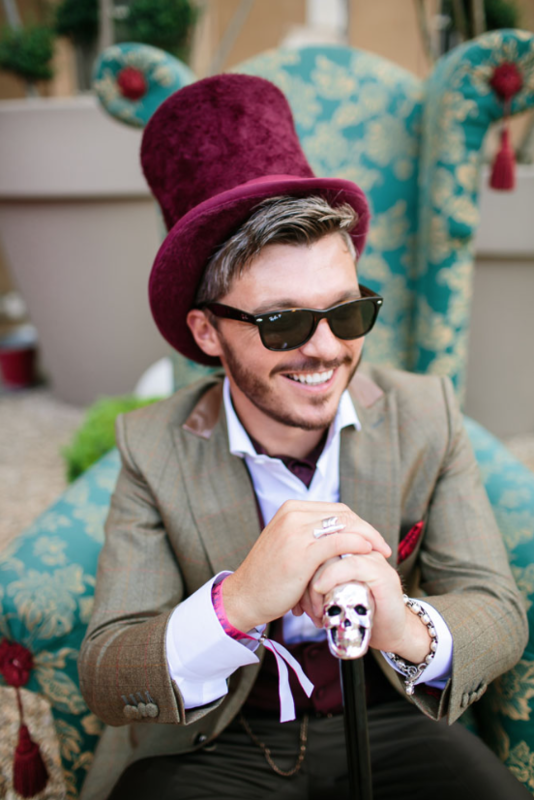 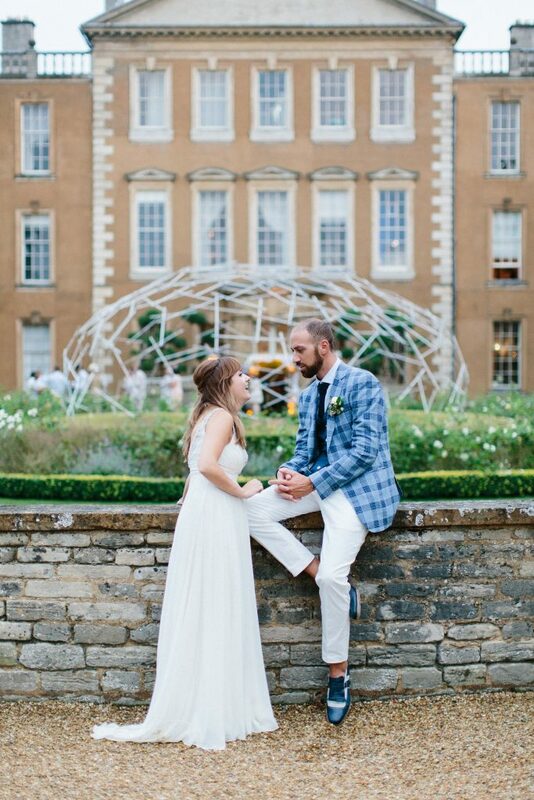 At Aynhoe – we love traditional with a twist, this dapper groom wore a traditional top hat and tails but with a rock n’roll edge. His groomsmen wore bespoke jackets that tied-in with the plummy tones of the groom’s top hat waistcoat and scarf – the groom’s cane completes the look! 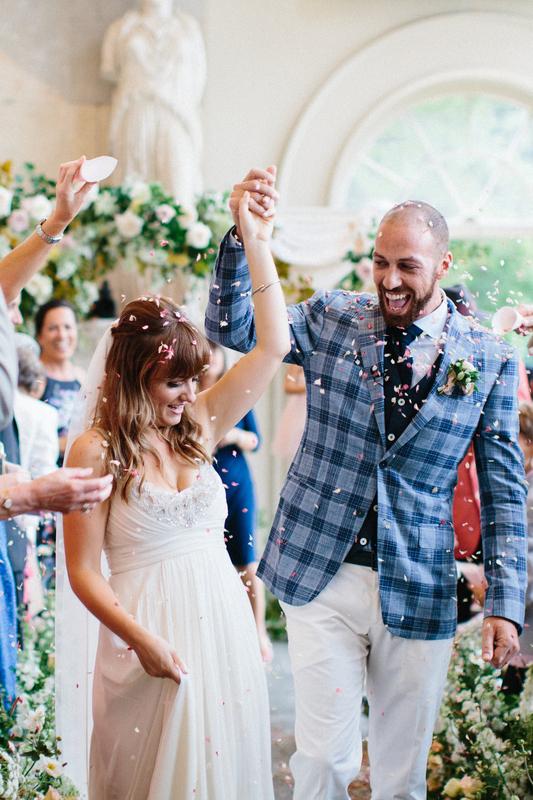 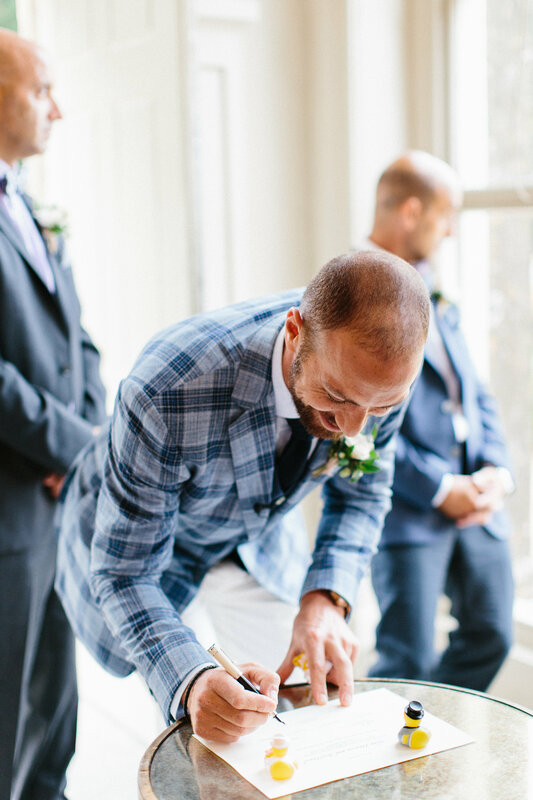 A statement colour and a pop of personality – this groom has paired an amazing tailored checkered blue jacket with a slightly cropped white trouser that allows those amazing shoes to get some attention! 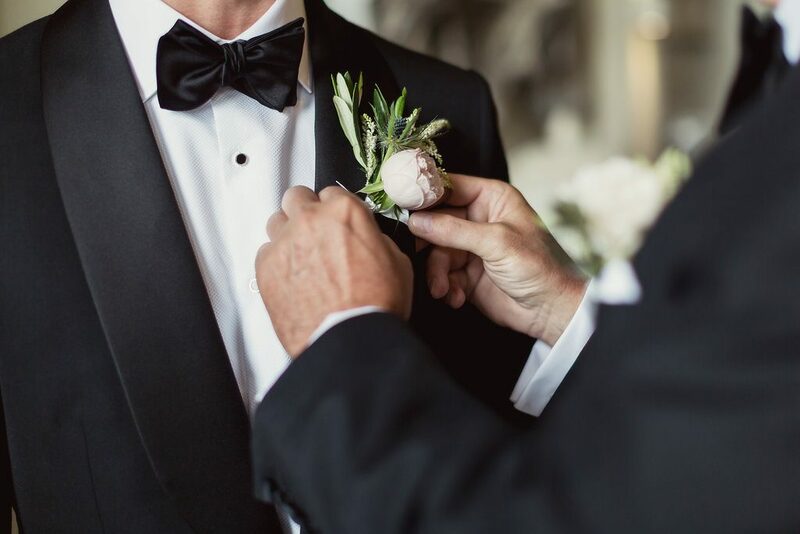 You really can’t beat this timeless style. 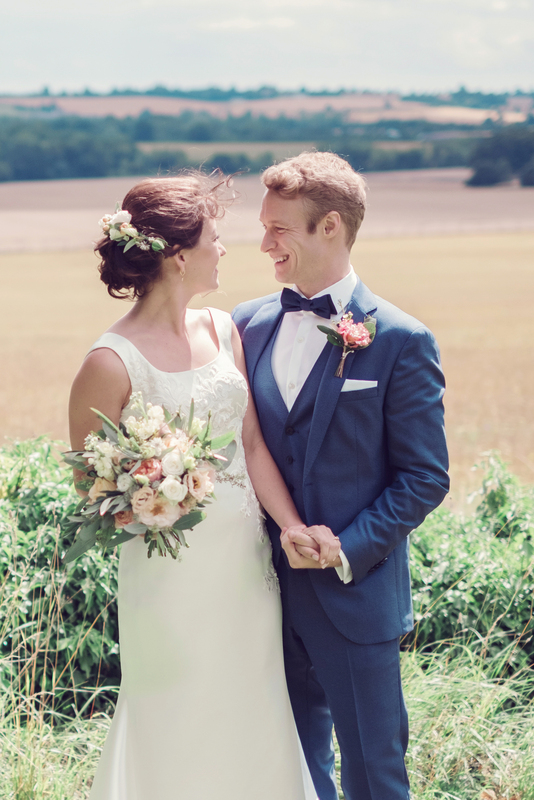 This debonair groom wore a well tailored three piece suit with a bow tie. 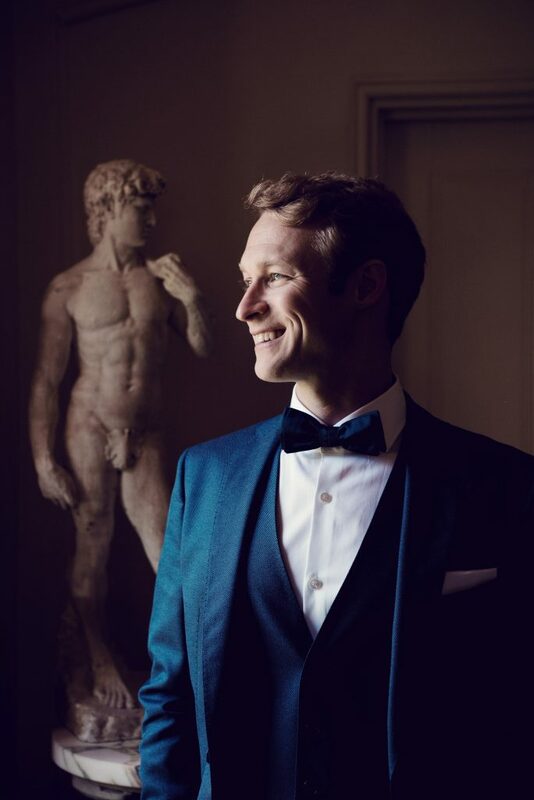 The look is classic and refined but by choosing a deep blue, the look is modern and complemented the tones in the bouquet perfectly..
A summer wedding calls for a relaxed bohemian feel, for this beautiful outside wedding the groom wore a well tailored navy suit and a relaxed no tie look, with all groomsman and page boy! 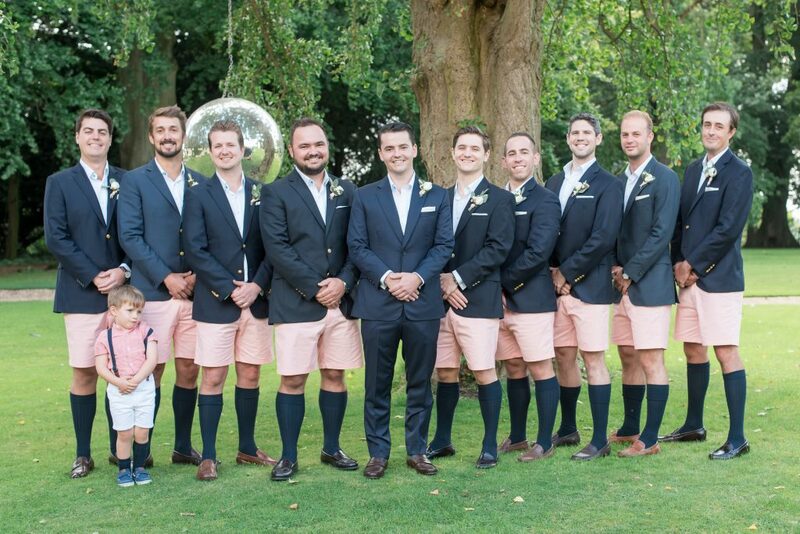 in shorts and socks! 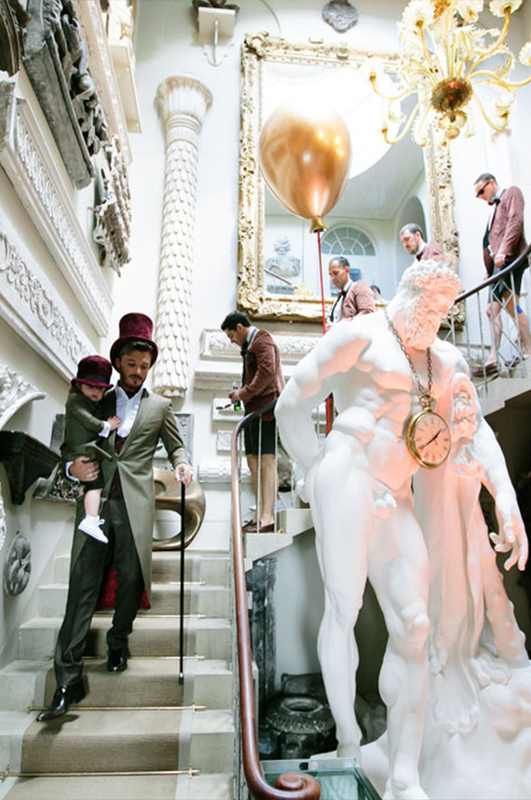 British summer eccentricity at its very best! Our unusual country house is a place to withdraw from this world and discover a new one; somewhere with a surprise behind every door and a curiosity around every corner. 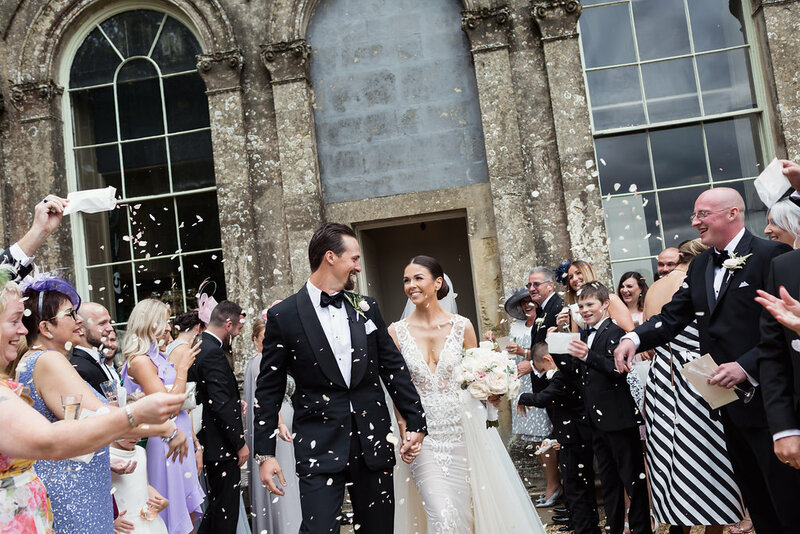 For our newsletter, for latest Aynhoe Park news and events.